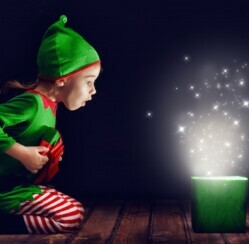 There is nothing more wonderful or heartwarming than to wake up Christmas morning, enjoy a nice hot cup of freshly brewed coffee, and watch as your child runs excitedly from his or her bedroom all sleepy eyed with tousled hair to find out what magnificent Christmas gifts that Santa brought. Unfortunately, I have never gotten to experience this treasured moment. See, my kids have this inner alarm clock on Christmas morning that tends to wake them up at exactly 4:00am on the dot. They come bouncing into my bedroom with the energy of a thousand energizer bunnies, jump on my bed, and shake me and their dad awake screaming “Santa came! C’mon- we have to go open presents!” There is no time for a nice relaxing cup of coffee, and in fact, most of the time my husband and I are still half asleep when all of the gifts have been opened. It’s funny, we spend countless hours each holiday season shopping for the best Christmas gifts for kids, and in a matter of minutes everything is opened, there is the beautiful wrapping paper we spent decades placing around mountains of gift boxes and all of the colorful bows all over the living room floor, and the kids all go back to sleep. I wouldn’t give it up for the world! As Christmas day quickly approaches, many of us are still in search of the best Christmas gifts for kids. The most popular gifts of the season, however, aren’t typically available at the local discount store this time of year. We have to get creative to find the best Christmas gifts for kids that will bring that magic to their hearts on Christmas morning. 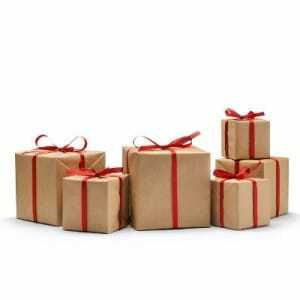 Fortunately, ChristmasGifts.com has come up with some of the world’s most magnificent gifts to make finding those wonderful Christmas gifts a breeze. Here are just a few of our favorite finds that we are certain will bring a smile to your child’s face this holiday season. Instead of opening all of their gifts on Christmas morning, why not get your kids the Days of Gifts present assortment this year, and relive the 12 days of Christmas? The perfect gift for almost anyone on your holiday shopping list, this gift offers 12 different presents that are hand selected by gift specialists. Simply provide them with information about your child’s personality and answer a few questions, and let the specialists will do the rest. If you are looking for something completely off the wall that is sure to bring lots of laughs this Christmas, give your kids a Brain Cell from GiantMicrobes! 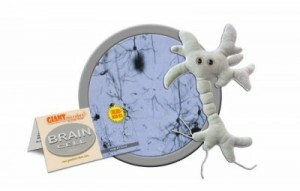 A wonderful plush toy that is designed to look just like a real brain cell, this gift even includes an interesting fact card about the actual microbe! Are you ready to discover the most amazing Christmas gift for kids imaginable? 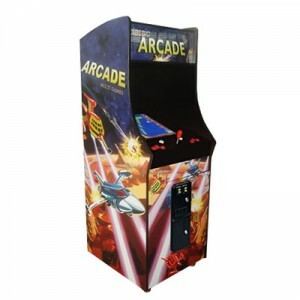 Check out the Vertical Upright Arcade Machine from Arcade Classics! A blast from the past, this game machine is designed to play all of your favorite vintage games! How many kids are you shopping for this Christmas?